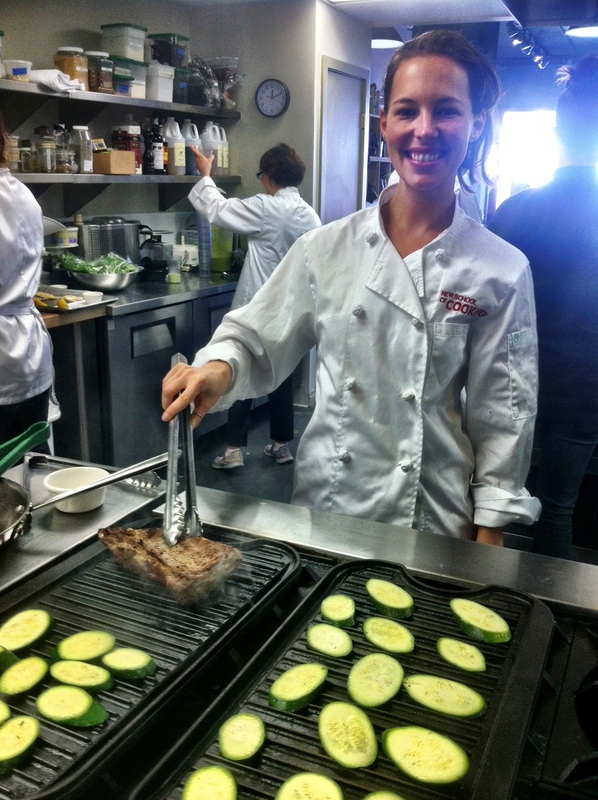 This is one of the many recipes I learned how to make at the New School of Cooking in Culver City. Since I didn’t grow up on red meat, I’ve always been intimidated to cook it. But thanks to these cooking classes, my eyes were opened, and I’m no longer afraid to tackle a nice, juicy steak (as long as it’s good quality meat of course). Eat up and enjoy! In a food processor, combine the herbs, chile, olive oil, vinegar and garlic. Season to taste with salt and pepper. 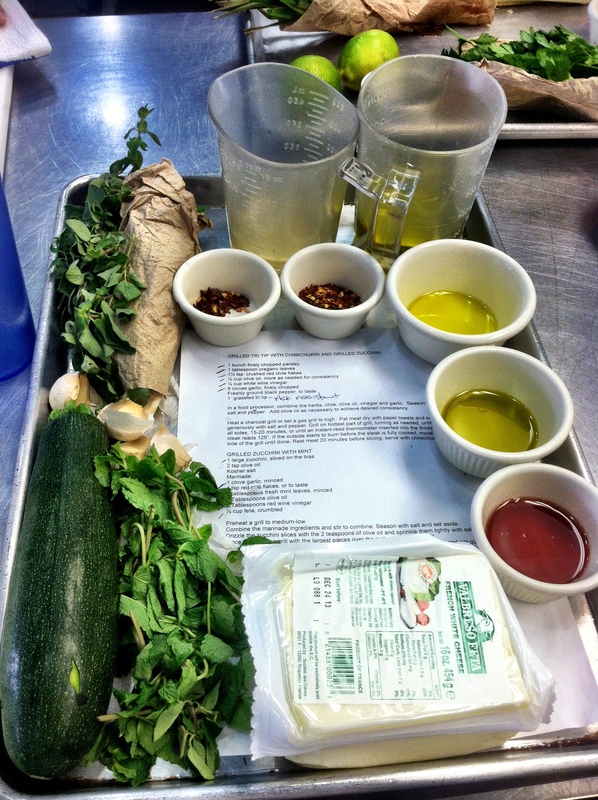 Add olive oil as necessary to achieve desired consistency. Heat a charcoal grill or set a gas grill to high heat. Pat meat dry with paper towels and season generously with salt and pepper. Grill on hottest part of grill, turning as needed, until browned on all sides, 15-20 minutes, or until an instant-read thermometer inserted into the thickest part of the steak reads 125. If the outside starts to burn before the steak is fully cooked, move to the cooler side of the grill until done. Rest meat 20 minutes before slicing; serve with chimichurri. 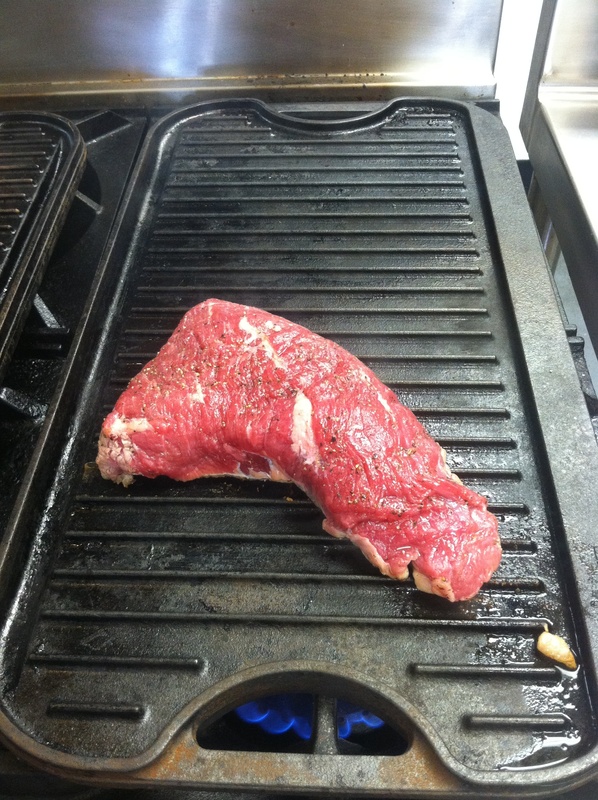 Preheat a grill to medium-low. Combine the marinade ingredients and stir to combine. Season with salt and set aside. Drizzle the zucchini slices with the 2 teaspoons of olive oil and sprinkle them lightly with salt. Place them on the grill with the largest pieces over the hottest part of the grill. Watch them carefully so they don’t burn, flipping them just as they start to soften and get good char marks on them. When they are cooked to tender on both sides, remove them from the grill and place them on a serving platter. 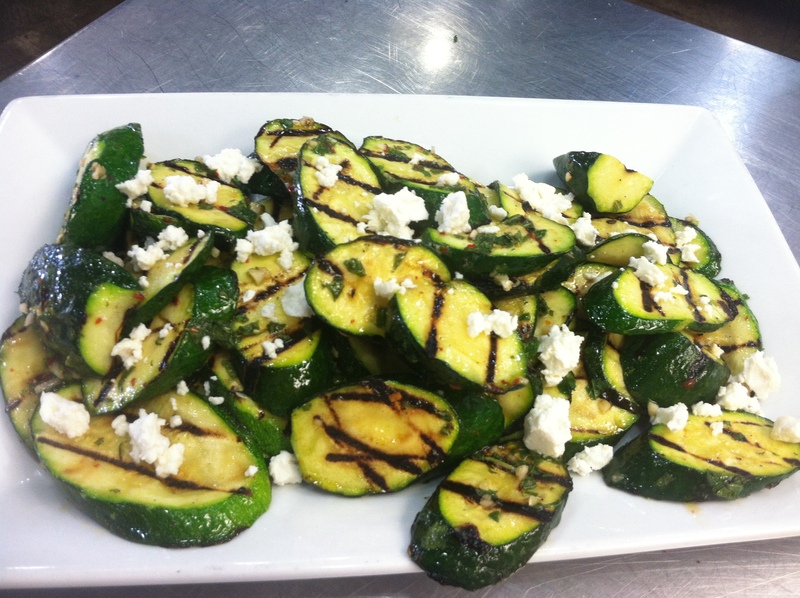 Spoon the marinade over the top of the zucchini and serve with feta on top. 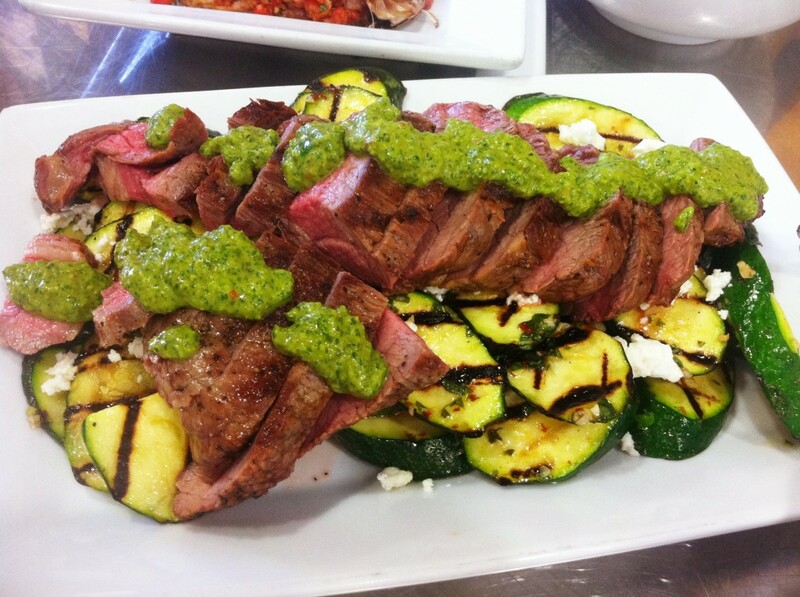 Place the sliced tri tip on top zucchini and serve with the chimichurri sauce.